As a new homeowner, one of the things I look forward to most is having friends over and hosting get-togethers. It's important that my home is not only clean and tidy, but also welcoming. In my opinion, there’s nothing more welcoming than walking into a home to the sight of fresh flowers. I work in the wedding industry, and I am always inspired by the beautiful centerpieces I come across. 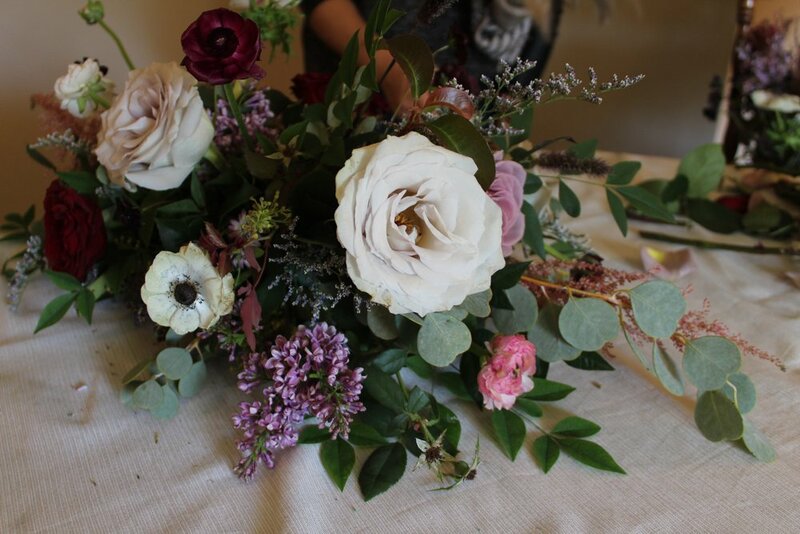 What better way to jazz up your home than with a beautiful centerpiece? I called my sister-in-law, Tiffany, who has more than dabbled in the art of floristry. Tiffany works with Remi & Gold, a local florist here in Austin. 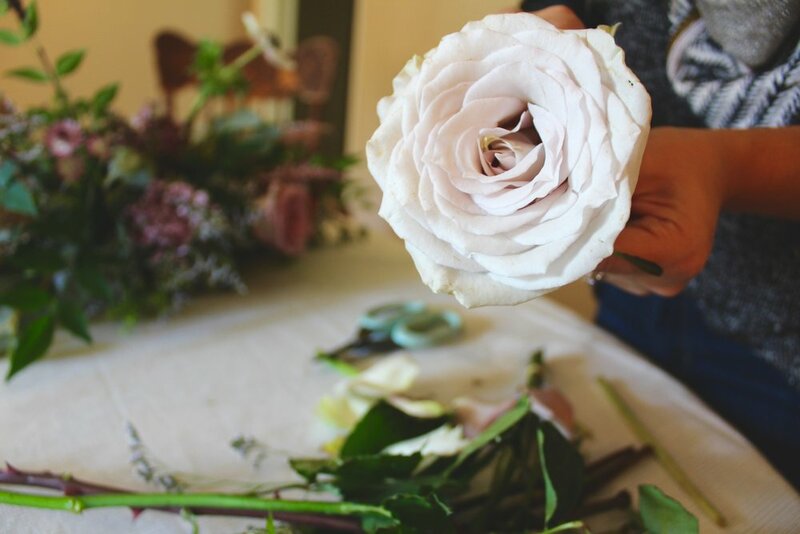 Tiffany and I got together, and she taught me about the art of creating an original centerpiece for any occasion. I was surprised that I was able to create such a beautiful piece for next to nothing and with limited supplies. There is no need to splurge on the predictable bundle of red roses when you easily can create your own unique centerpiece! Pro tip: When we felt like we needed more greenery we literally just cut some from the bush in my yard! But seriously, first, you're going to want to submerge the entire wet foam block for a little bit in some water. Once that is done place it on your terracotta dish (or any dish that the wet foam can rest on). The goal at this point is to start placing some of our greenery into the foam and work our way from the bottom up so we cover the foam completely (cause girl, you don't want that showing, we tryna be classy, OKURR). 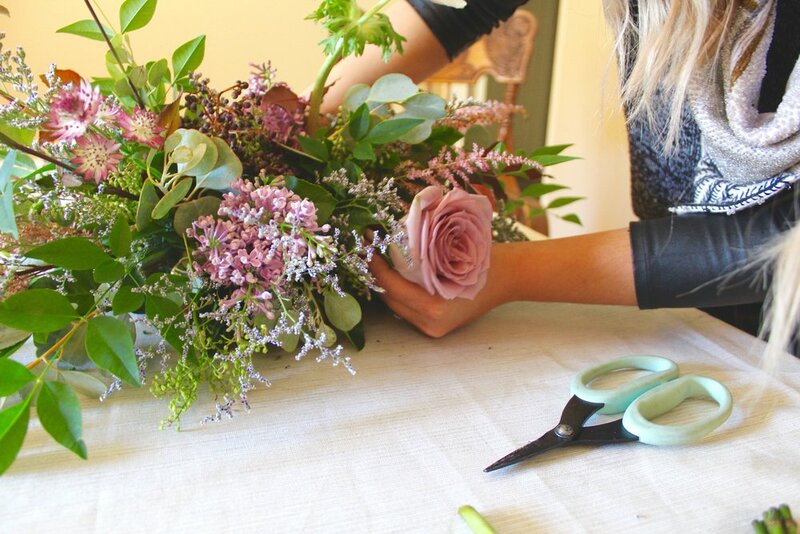 Now you're going to slowly start incorporating your flowers. The goal should be to create something with dimension and depth. You can do this by intentionally keeping some pieces longer than others and avoiding absolute symmetry. Basically, this is no time to be type A. As you're building up your centerpiece more and more make sure you are using various shapes, colors, and textures side by side (this will keep it from looking predictable). 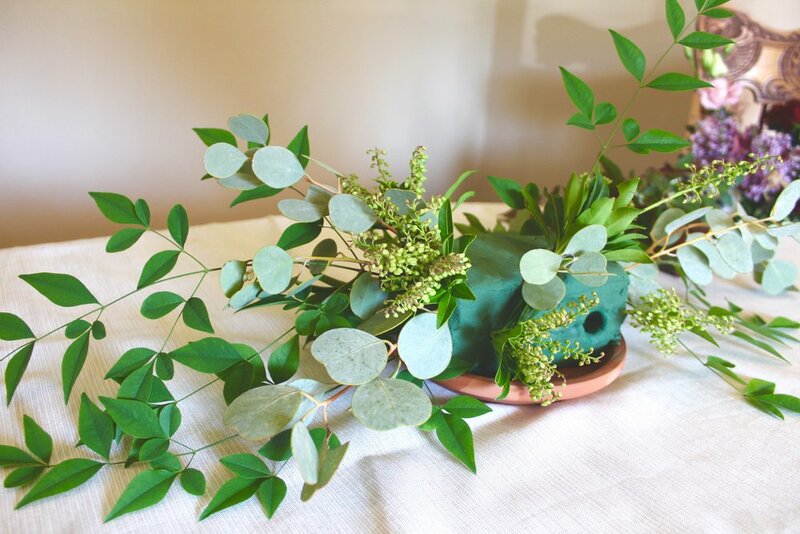 You can utilize favorite greeneries or flowers by placing them in more obvious places that way depending on where you have your centerpiece positioned, guest will see them better. 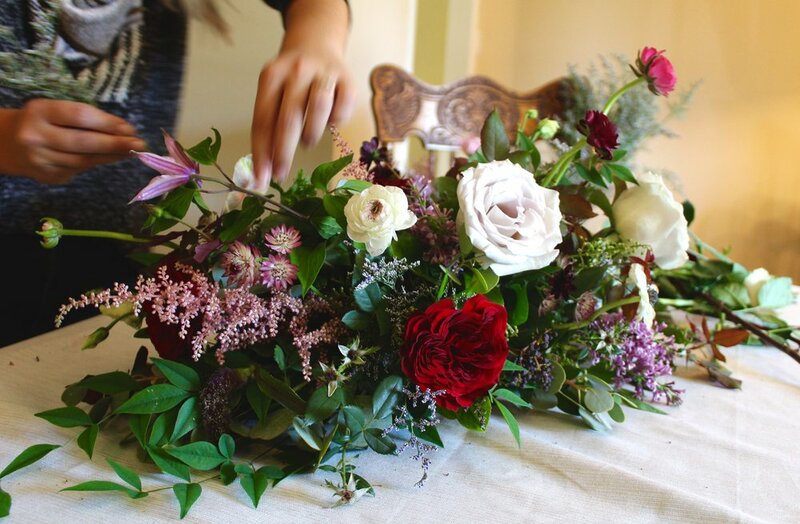 Remember to have fun when picking out the flowers and greenery to use in your centerpiece! If it's for a certain holiday you can incorporate those festive colors subtly without it being super obvious but still beautiful. All in all your best results happen when you don't overthink it. Have fun and let those creative juices flow!